I have recently acquired the three sisters of the Dior Addict family, and the Lip Glow would be the youngest and most naive one. It was difficult to justify paying as much for mere a tinted lip balm, but I also wanted to find out for myself why this particular one is so widely popular. 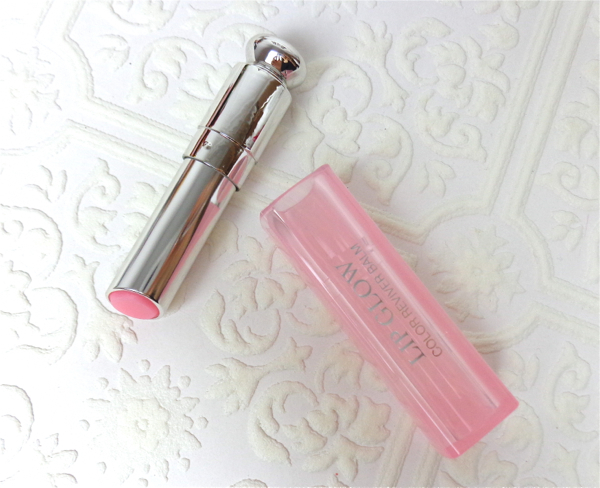 Turns out Dior Addict Lip Glow is not just another tinted lip balm. Awaken and enhance the natural beauty of your lips with this unique balm that promises the perfect pout. Formulated with color reviver technology, this silky lipstick reacts with the chemistry of your lips to create a special shade that will last all day. The addition of SPF 10 will keep you protected, while hydrating mango butter and loofah extract nourish for beautiful, luscious lips. Dior Addict Lip Glow has a harder consistency so it feels much balmier and less slippery than your usual lip balm sticks. In other words, it has more "grip" so it stays much longer on your lips. In reality, Dior Addict Lip Glow is a lip balm with just a tiny bit of pink stain mixed in. All stain lippies I have experienced have the same minty scent that is a bit artificial, and Dior Lip Glow is not an exception. It is very faint but there. I will have to research more to find out but I wonder if it is from the common staining agents used in this type of lippies. 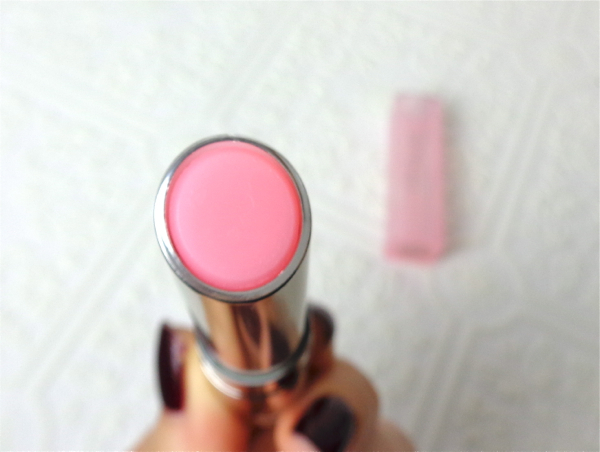 Dior Addict Lip Glow warms up immediately on lips and shows up the most natural pink. It is so natural that I wish I was born with pink lips like this. With all due respect to the "color reviver technology", I don't think it is some magic that Dior Lip Glow shows up individually different since all tint products kinda act like that once they are on our lips. Plus it is a sheer kind that lets our natural lip colors show through. It's gotta be individually unique, right? Having said that, Dior Lip Glow has found a permanent spot in my cosmetic pouch as I constantly reach for it. 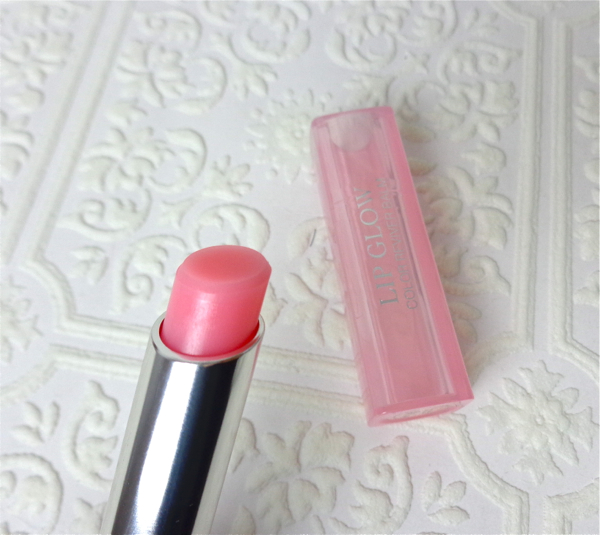 I love this no-brainer pink that doesn't require mirror for application, but I love even more that it keeps my lips moisturized and the subtle pink color is surprisingly long-lasting. 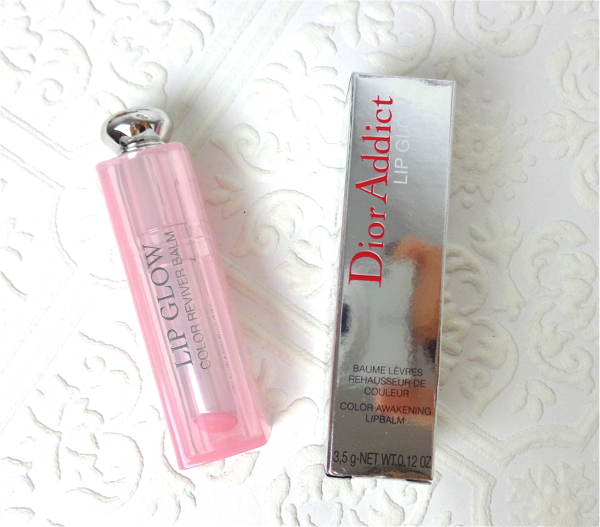 I was somewhat prepared to be underwhelmed by this, but Dior Lip Glow surpassed my expectations and even made me want to get the new Coral color which costs a dollar more (What is that, really? -_-). Have you tried Dior Addict Lip Glow? Do you like "the special pink" you see on your lips?